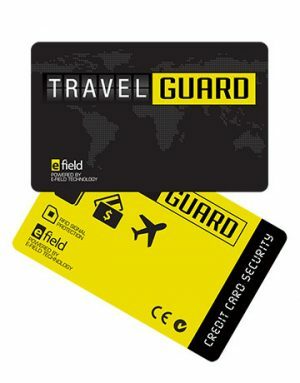 We started our Random Acts of Kindness with the hope of making a difference in every country we stepped into – to travel with a purpose, and to teach my young son to care for others who may never be able to give back. 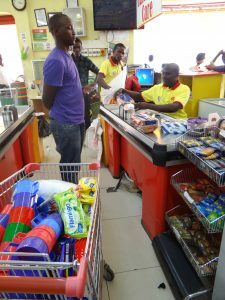 I have to admit that while we have walked the streets with the wealthiest individuals in our society, we have also interacted with the poorest families. 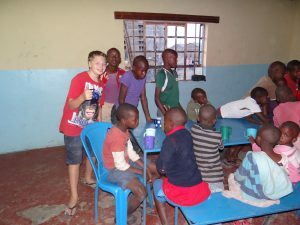 We have however never had an experience like the one we had when we visited an orphanage in the squalors of Kenya. I ask you to read this to read this to the end since it will help you understand the impact you have on a poor child each time you raise contribute a dollar or more towards any charitable initiative. 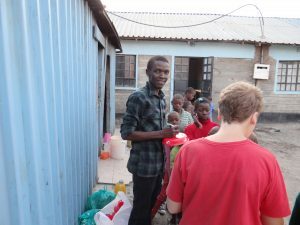 Here are some of the things that we found to be very moving when we visited the Kenyan Orphanage with around 60 residents. 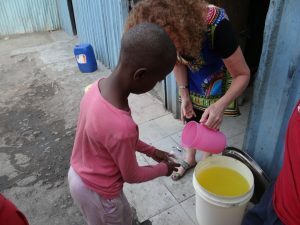 Most of the children at the orphanage did not have cups, plates, forks or spoons! 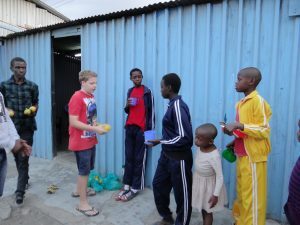 I was deeply disturbed that some of these kids never had cups to drink from. 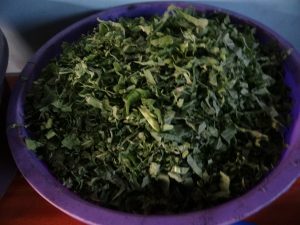 I remember when I had them lined up to be served with some diluted juice and some came with used water bottles just because they never had cups. To me, this is something that could be changed within just one day. I just needed every child to have something that he/she could call his/her own. 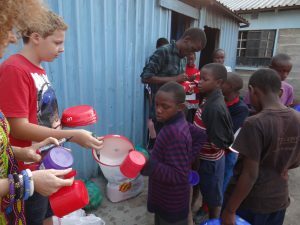 With the help of fantastic readers and Facebook friends, we were able to raise enough money to buy them the necessary utensils. 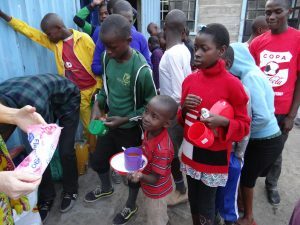 The next day, each child received a new plate, cup, and spoon. We also bought permanent markers and wrote their name on the cutlery and utensils. 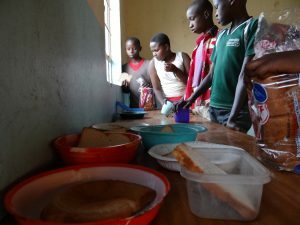 Now they no longer had to share dirty plates and cups – each child had something that was their own. We also noticed there were not enough hard metal seats for them to sit on, or tables to sit at, so they stood to eat. Basic things we take for granted. This place was as basic as you get. I was told they had no government funding, they do not adopt out, and there is no outside staffing – just a director and his mother. It seemed a bleak situation. Everyone should treat him/herself to some special meal at least once in a while. 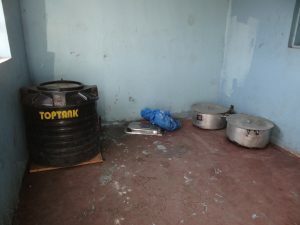 We, however, realized that though orphans at this orphanage desired to have certain meals, they were unable to have them. 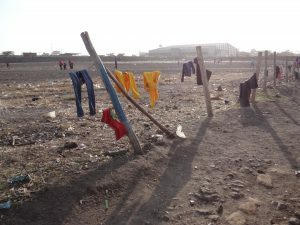 They have had to live on starchy basic foods and if they are lucky vegetables, which at times are not enough for everyone. So we wanted to give them a unique treat. We really wanted to do something special for them. So with the money, we raised from friends, we bought some sausages, bread, and juice. We also bought some cooking oil for the sausage since we knew the home probably had no cooking oil. money for that. We couldn’t help but notice the smiles on the faces of these children. 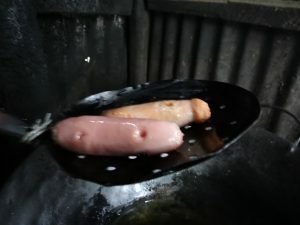 We realized that most of them actually desired to have some sausages and therefore I felt like this was some small party just to celebrate life. We also ensured that there was enough food for the next day. 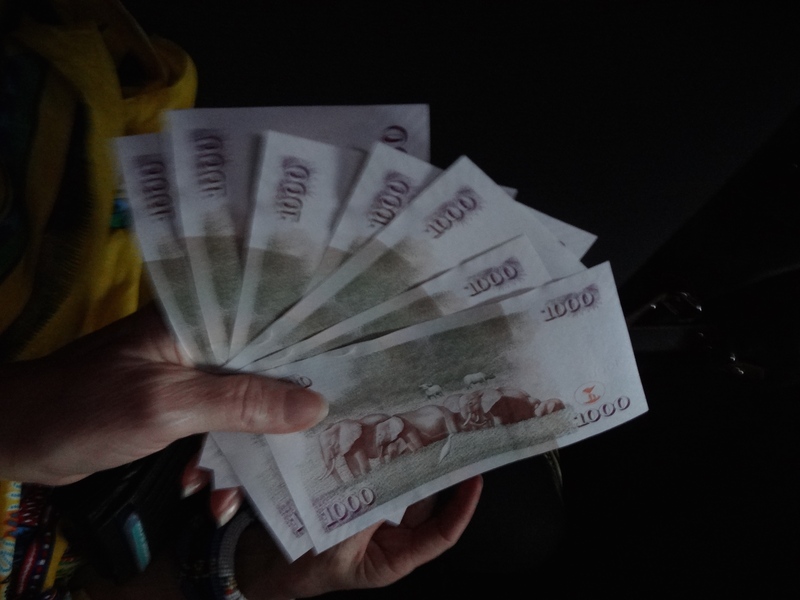 Since the director was okay with buying vegetables, we gave out money for that. 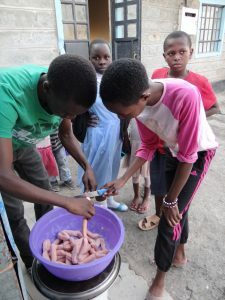 One kid said he had never tasted sausages before! So we were able to give him that taste sensation. I also heard something even worse. Far, far worse! And when I heard this it went deep into my being. These children often do not get regular meals. On some occasions, they have gone up to two days without something to eat. Other times they miss meals or they only get a small amount of stodgy food to eat. Nutrition is poor and meal times are not consistent. 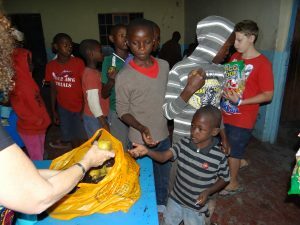 So we were able to buy each child some fruit too. 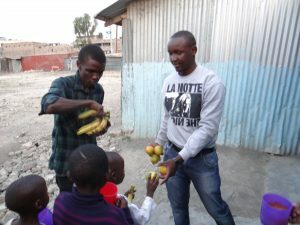 We purchased oranges and bananas and hand them out. 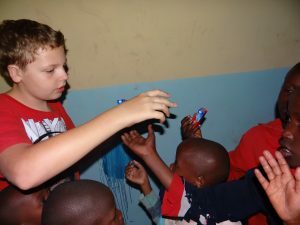 We even gave them a lollipop sucker each too – just so they could enjoy something as a treat. 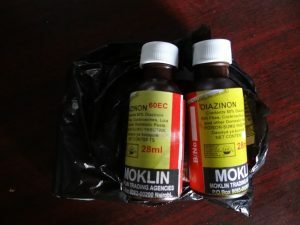 Malaria has for so long been known as a killer disease in Africa and yet is so easily avoided. So many African kids have died from this disease. 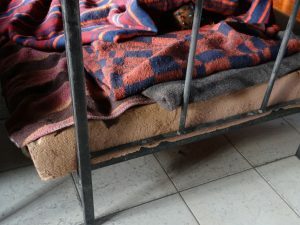 When we walked into the rooms in this orphanage, I realized that most beds had no mosquito nets. This means that most of these children are exposed to mosquito attacks which would lead to malaria. Even if they fail to get malaria, being attacked by pests at night is really never comfortable. 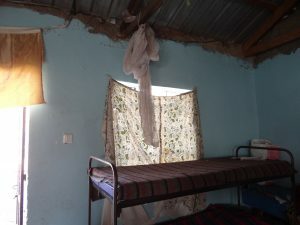 We desired to change this, and so we bought them some nets and pesticides to be used in the rooms. 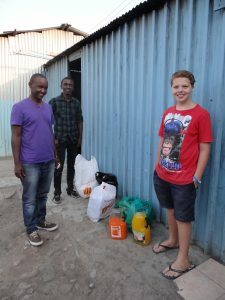 We also found out that there were bugs in their dormitories and so we made a wide berth whilst we were there and sent out for the pesticide and insisted the dormitories be sprayed. How horrid for these poor children. I think I was shocked that as we first pulled into the area that cement dust filled the air and that it reminded me of Bolivia. 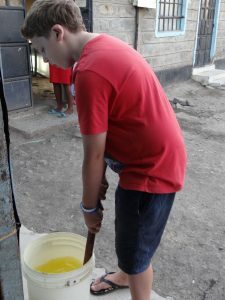 That I had no idea that this could be happening right here in Kenya. It was such a dust bowl and so moving I did not know if I could go in. A dry playing field with litter blowing in the wind greeted us as the gates opened. I will never forget that first glimpse. It is embedded in my mind forever. I think the second thing that shocked me was the poor hygiene. 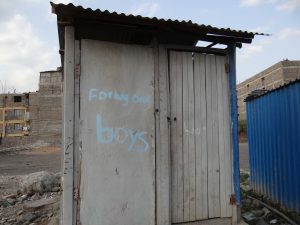 The toilets were drop-holes. 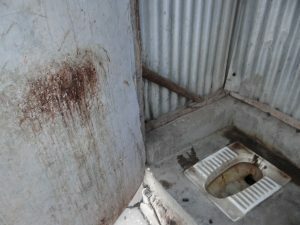 There was no water bucket to wash their feces, and certainly no toilet paper. 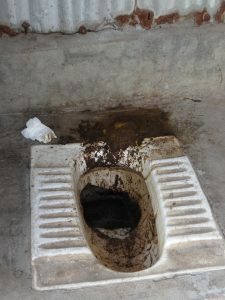 So there was human excrement all over the place. The ground, the door and wiped onto the walls. 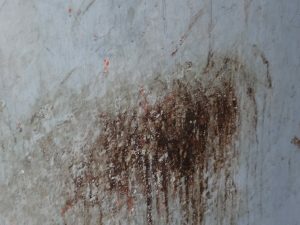 No-one cleaned it. No-one cared. 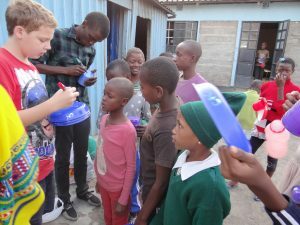 For the girls, we purchased sanitary pads, and we were also able to give each child a toothbrush and purchase some tubes of toothpaste for them to share. We did what we could but there were so many needs. We did what we could but there were so many needs. 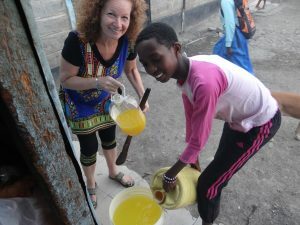 In my journey around the world, I have realized that the one most important thing that needy children lack is mentorship. 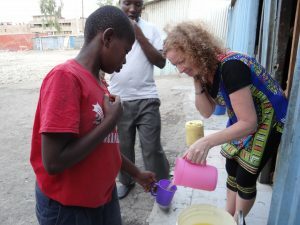 I discovered that volunteers at the orphanage are never paid. As a result, they always disappear once they get some greener pasture. 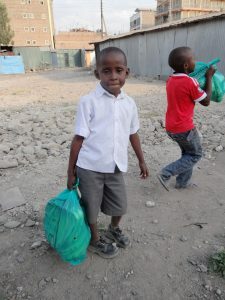 Those at the orphanage also seem to lack mentorship skills and as a result, stare at these kids as they go astray. 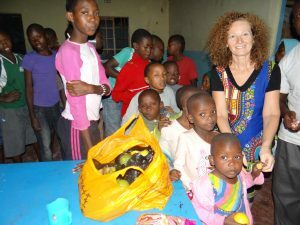 I particularly noticed that most of these children need some parental love and I am glad that they found a mother in me, and a brother in my son. My mother-heart was huge both times we visited here. I wanted to bundle them in my arms and give them love, but I had been advised not to do so. It is important not to give them false hopes and dreams and I knew that I was not there to give them the long-term need that they desperately required. I was able to teach them something about respect, and I am happy that they were receptive to it. For instance, as we gave out the plates, I noticed that no one was saying “thank you”. I tried to teach them the meaning of these two powerful words and why they needed to show gratitude when someone did something good for them. 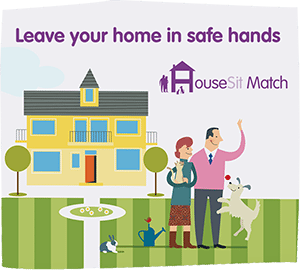 I am so glad that I visited this home. It was really opened my eyes and allowed me to see the hidden tears and smiles on the faces of the less needy. I know my heart is to give to those who can never repay. I know I long to touch their lives in a small way. I am glad we did something – but I wish there was more. 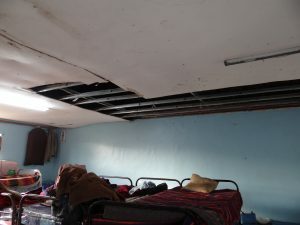 I am glad we saw the needs, that we raised the funds with the help of our friends, and came back the second day too. On both nights we returned to the comfort of our hotel and showered and ate a wonderful dinner. But each night as I went to go to sleep, I could not sleep. Not just for a few minutes or hours, but ALL NIGHT. I did not sleep at all for the two nights we visited there. Even though we did all we could. But more so, it went on for nights later. 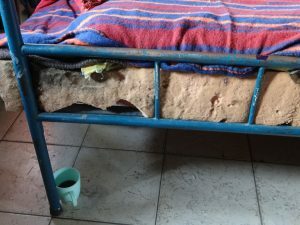 For 5 nights I hardly slept after visiting this orphanage. …I wept tears for these children – big and small. 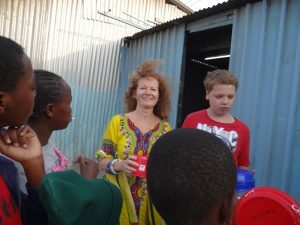 …I cried for the orphans of Kenya – my heart was so heavy and I was to leave Kenya but I just wanted to help them so much. I will have to return – this much I know. 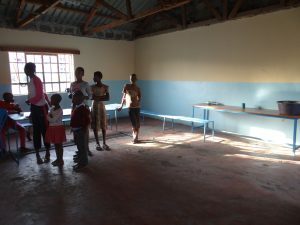 Would you be willing to help start a rescue center in Kenya? 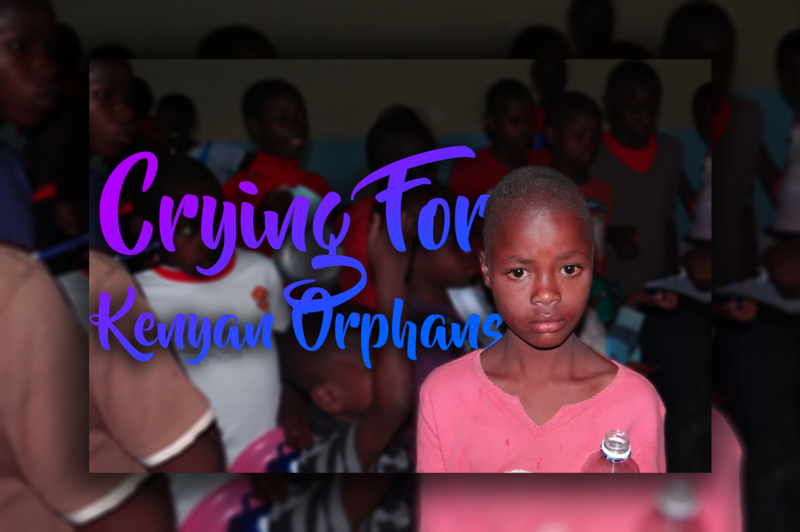 We have realized that there are so many Kenyan children crying and begging for help. Together, we have been able to make a change in our society. Maybe it is time we do more. If we cannot, I do know another man who might be able to. I’d love your input on this, please. I can’t do it alone. I am a single Mum with a teenage child. This takes money, organization, and commitment, but I do know I have seen something I cannot close my eyes too because my eyes have been opened. 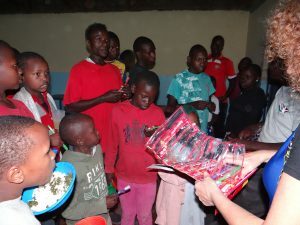 We do have a Kenyan church pastor and friend who accompanied us who can help these children. If you would like to donate, please message me at exploramum@gmail.com and I will put you in touch with them. 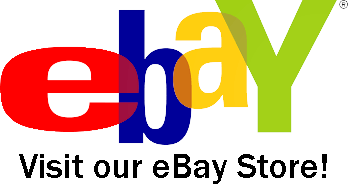 They will buy items and give 100% directly to the children. The information here has been relayed to us and we try to be as accurate as possible. 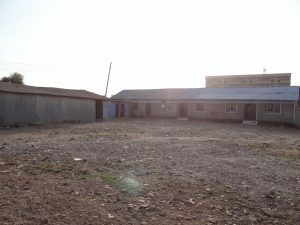 the name of the orphanage is not included to protect the privacy of the children. Just love this project. 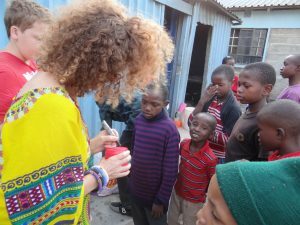 I actually volunteered in Kenya many years ago now, and it was such an eye-opening experience. Glad you had an amazing time Felicity. We can’t share your link but I can look at it myself. Kenya is wonderful, isn’t it? 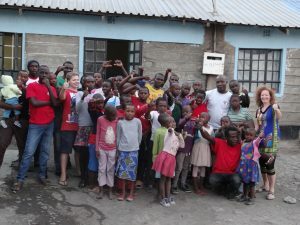 I’m so glad y’all had that experience and were able to provide some new experiences for the kids in Kenya. 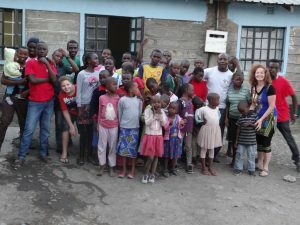 My time at an orphanage in Kenya was life-changing too. So glad you had a wonderful experience. You must have a beautiful heart!